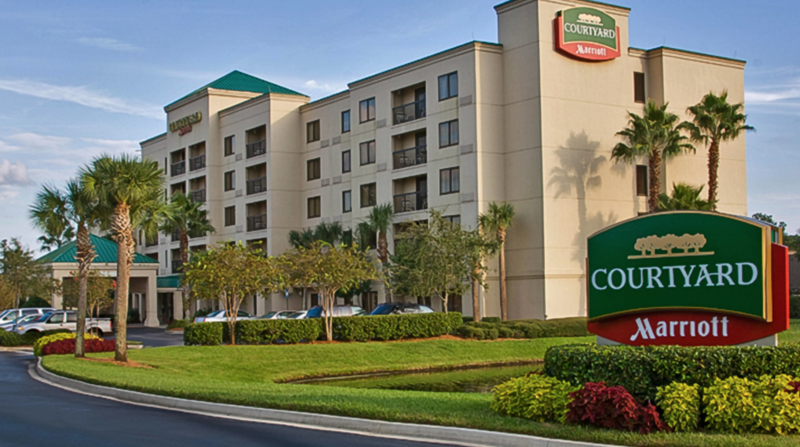 Hyatt Regency Jacksonville Riverfront is located at 225 East Coastline Drive, on the river, one mile from the starting line. It is the closest hotel to the start/finish area of the Gate River Run. The Courtyard Jacksonville Butler Boulevard combines comfort, style and functionality at a great value. It is the closest Marriott hotel to the downtown district.